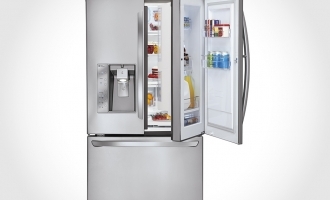 The dishwasher and the refrigerator are the biggest appliances in the kitchen. As such, they can be quite difficult to integrate into a kitchen decor, especially if the decor in question is anything but modern. 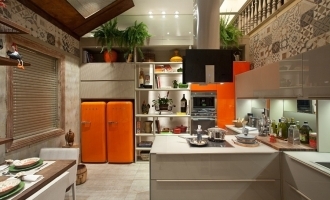 However, with a little creativity, you can come up with numerous ways of integrating dishwashers into a kitchen decor. 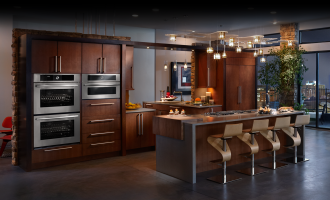 In this article, we have compiled some great kitchen ideas regarding appliances. We hope that they will inspire you to create a perfect kitchen decor. If your kitchen cabinetry features bright colors which simply don’t go with the modern stainless steel finish of most dishwashers, you needn’t worry, as there are solutions for this problem. 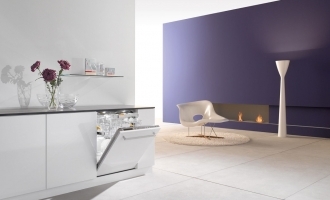 Most dishwasher manufacturers only offer a few finish choices for dishwashers such as stainless steel, white and black. However, if you dig around a little, you will discover that dishwashers come in a wider variety of colors. For example, Baumatic Dance Partners is a brand that offers not only colorful dishwashers but numerous other brightly colored appliances. If you thought that it would be impossible to find a bright yellow or orange dishwasher, think again, as nothing is impossible. If bright colors are not your type, you might also consider some pastels. Big chill is a company which offers appliances that feature modern technologies yet adorable, retro, pastel colored designs. Similar appliances can also be found at SMEG. 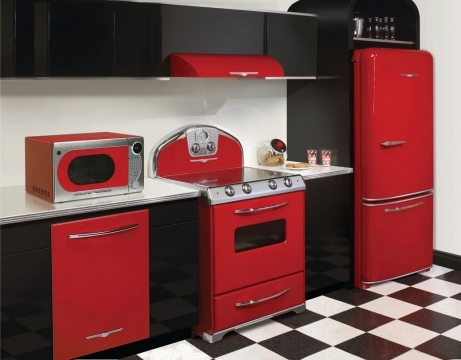 This company even has an appliance collection, which features the classic Barbie pink shade. By choosing brightly colored appliances, you will actually be using them as decor elements instead of bothering to hide them. 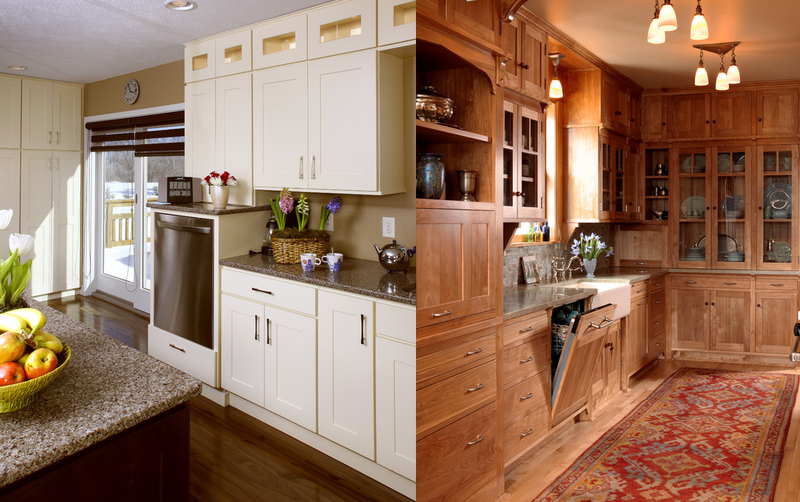 There are many great kitchen ideas regarding appliances but the best ones involve incorporating the appliances in the kitchen cabinetry. The easiest way would be to integrate them in the furniture and to extend the furniture’s counter top in a way that it also covers the dishwasher. If the dishwasher doesn’t have the same height as the overall bottom cabinetry, you can simply place it on a stand and put the counter top on it. This way, you will avoid the classic incorporation method and you will end up with a unique kitchen element. 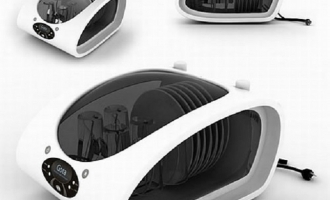 Furthermore, with the dishwasher placed on a stand, you will be able to access its interior without any back pains. 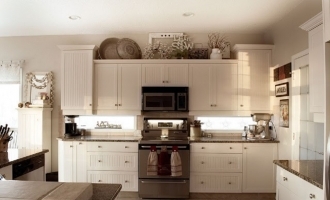 If you don’t like deviating from the classic look too much, you can also look for dishwasher manufacturers which offer appliances with custom made cabinetry front covers. Some covers can even feature fake drawers.